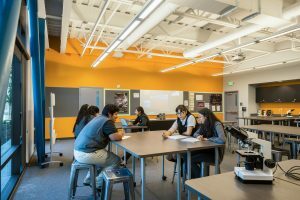 In the heart of East San José lies Cristo Rey San José Jesuit High School with the mission of “empowering students from underserved communities”. Cristo Rey sought community support to tear down an old structure, and replace it with a modern educational facility. 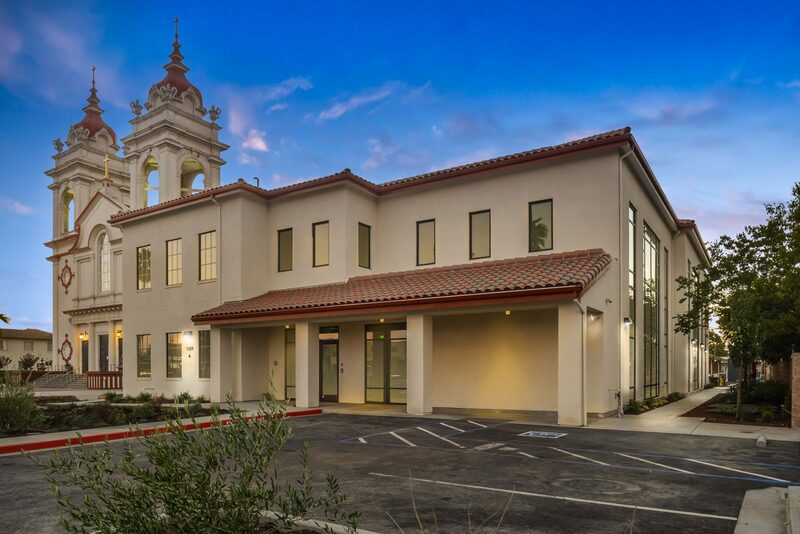 Peoples Associates Structural Engineers (PASE) joined Cristo Rey’s Corporate Partner design team in January 2015, where PASE volunteered to design and engineer the foundation and super structure of the Finn Hall. 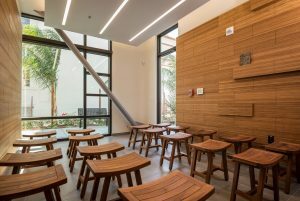 Engineers Mike Diegert, Jeff Stevens, and Rob Okano collaborated with Barry Swenson Builder and Studio Current Architects to engineer a facility that would allow the students and staff to thrive. Before the new Finn Hall was completed, the 16 staff members were sharing the Principal’s office for everything from prepping for classes to private meetings, and the students were constricted to the old facilities that could not provide what the staff and students needed. Just picture the science teachers doing experiments in the parking lot, in attempt to offer some kind of hands-on experience for the students. Needless to say, the students were held back because of an infrastructure that simply wasn’t cut out for their potential. The new structure will support 500 students expected in Fall 2017, up from 260 the year before. Only by the generosity of the community and Corporate Partners like PASE, Cristo Rey can enjoy their success in a state of the art facility. To see more technical specifications and explore more school projects, visit the PASE “Schools” page.